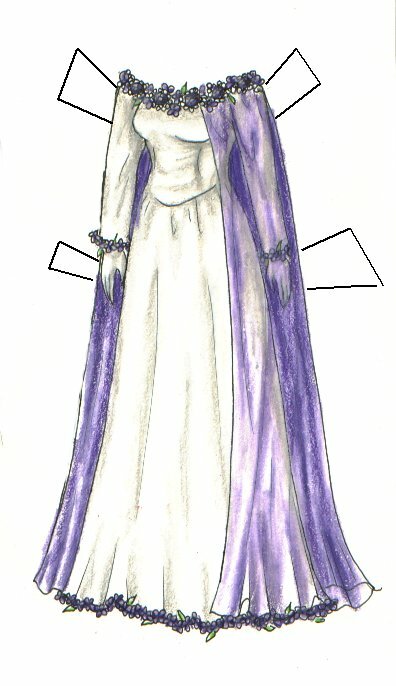 It wasn’t so much that I was uninspired today as it was that I spent a couple of hours on trazy’s requested coloring of the 1700s dress and then screwed it up, and even though I took some stabs at doing something easy after that, nothing quite seemed to work. 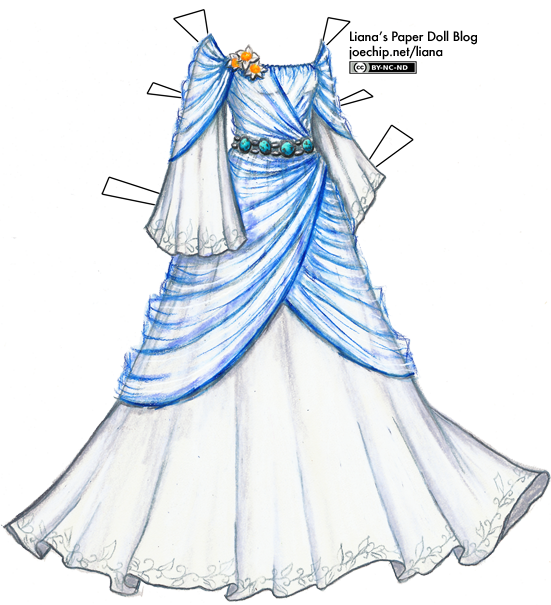 So here are two dresses from Liana’s Paper Doll Boutique, which was the paper doll site that I ran around ten years ago, when I was in high school. 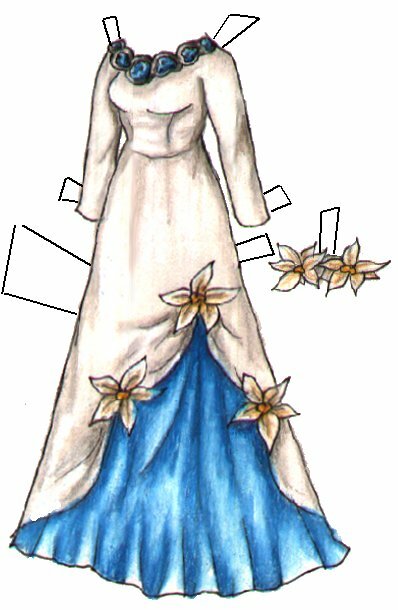 This is the December birthday dress, with turquoise and white poinsettias, and the February one, with amythests and violets.